Published on: May 26, 2016 | by Matthew R. Arnold, Esq. If you pay off your neutral custody arbitrator, allegedly manipulate police into investigating your ex-wife’s new beau, and try to get your ex-wife kicked out of the Catholic Church but still don’t get the custody arrangement you want…sue your ex for $10 million for manipulating you? This seems to be Bill O’Reilly’s train of thought as of late. The talk show host has announced that he is suing his ex-wife for $10 million, saying that she manipulated him into a separation agreement that financed her alleged pre-existing extra-marital affair with the man to whom she is now married. It had appeared that the bitter legal battles between the Fox News host and his ex-wife Maureen McPhilmy were drawing to a close after an appellate judge affirmed McPhilmy’s primary physical custody of the couple’s two adolescent children earlier this year—but such is clearly not the case. The background details of the former couple’s divorce and custody battle provide some context as to O’Reilly’s most recent legal action against his ex—and it’s scorched-earth nature rises above even that of many divorce cases that devolve past amicable. 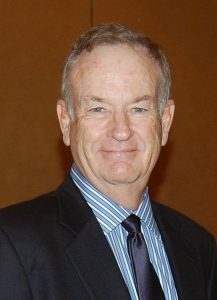 After the couple separated in 2010, O’Reilly became suspicious that McPhilmy was seeing another man. Not just any man, but a decade-plus veteran of the Long Island police force where they lived. So, according to Gawker, O’Reilly did what any concerned ex would do: he pulled some strings to launch an investigation into the detective’s career. The quest and missive were both apparently ineffective. The detective’s career remained solid, and after O’Reilly and McPhilmy’s divorce was finalized in 2011, he and McPhilmy married. And so began the former couple’s acrimonious custody battle. It hadn’t started that way—when the O’Reilly and McPhilmy finalized their divorce in 2011, they had agreed to share equal custody of their children on a week-on, week-off basis in a separation agreement—the same agreement O’Reilly now accuses McPhilmy of manipulating. As part of the agreement, they also agreed to arbitrate any potential custody issues with a purportedly neutral social worker named Lynne Kulakowski. However, McPhilmy learned shortly after their divorce that O’Reilly had added the “neutral” Kulakowski to his payroll so that she could serve as the children’s full-time nanny, which the judge later found amounted to performing virtually all of O’Reilly’s parental duties. 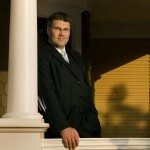 McPhilmy felt that this could undermine the integrity of the joint-custody agreement she had voluntarily entered into with her ex-husband and petitioned the court for sole custody. The court agreed. O’Reilly appealed the decision. However, the appellate court sided with the mother having primary residential custody, largely based on testimony from their now-17-year-old daughter and 13-year-old son. The children had both voiced a clear preference for living with their mother, something family courts generally take into account with older children in custody cases. A forensic examiner also testified that O’Reilly’s daughter described witnessing her father drag her mother down a staircase by her neck. O’Reilly has vehemently denied all such allegations. As the final cherry on top, the court found that O’Reilly had attempted to get his ex-wife kicked out of the Catholic Church for remarrying, earning her a formal reprimand in writing from the Church. Given the above context, it seems ironic that O’Reilly would sue his wife for behaving fraudulently in regards to the separation agreement they drafted. We’ll have to keep an ear out for whether the judge decides to allow O’Reilly’s newest allegations to proceed.